Appearance (0-20): The deep, rich, oily wrapper on the outside of this 601 is what really differentiates this from the Blue or White. It’s got nearly perfect color with no visible issues at all. The band is an off colored green that works well with the darker wrapper beneath. As is standard for the 601 blends, the band is a normalized form to represent the brand. Construction (0-20): The outer wrapper was soft and spongy with just the slightest bit of give to it. 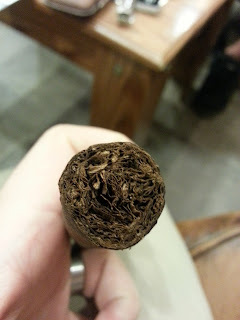 There were no concerns on the way the tobacco was set within and the initial cut revealed almost no debris. Initial puffs were a tad tight, but once it was lit it loosened up enough that it hit the proverbial sweet spot. 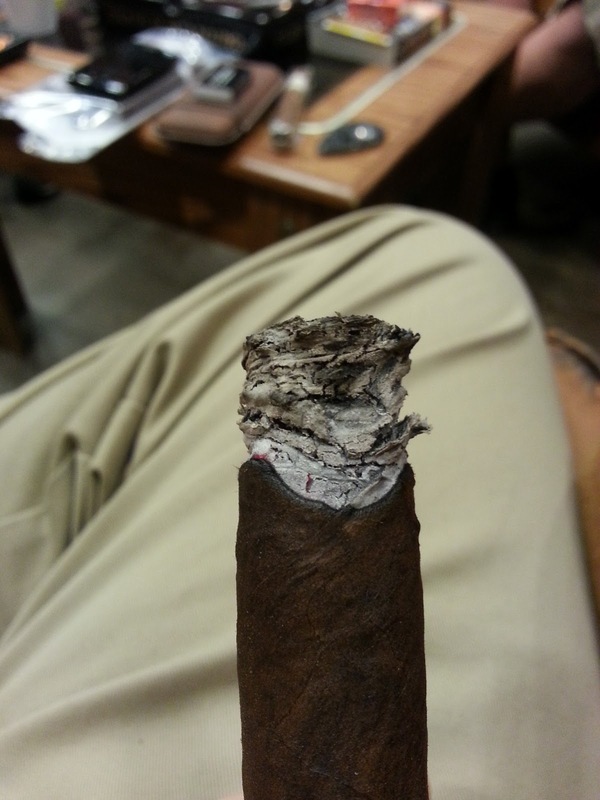 While the burn was a bit on the uneven side the ash held on for almost two inches each time. The ash itself was closer to a gray and a bit flaky. Strength (0-20): This one absolutely hits the full range that it is billed at, though it begins in a more medium to full range to begin. Flavor (0-20): Some of the elements that are found in the Blue label are found here in the Green, but with so much more power. Espresso, chocolate, leather, and some pepper on the retrohale are the paramount with this blend. While the complexity doesn’t seem to be the name of the game with this stick, you will find the basic four flavors weaving in different quantities to keep the flavor profile interesting. 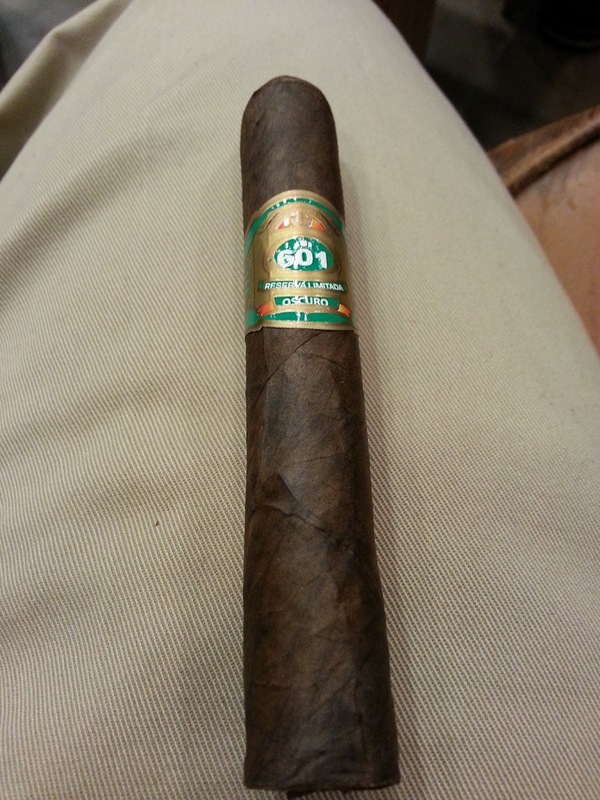 Value (0-20): The power packed nature of this cigar gives credence to paying the $8.50 price tag, though there are some others on the market that may top this one. 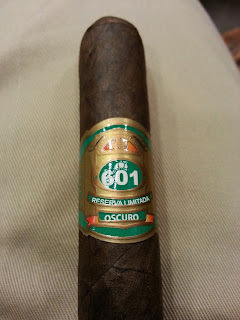 Overall (0-100): My preference actually leaned toward the Blue if selecting between 601 cigars, though the similarities are close enough that I would need to think about what I’m really looking for on that given day. The 601 Green looks absolutely gorgeous and has such wonderful robust flavors of espresso, chocolate, and leather that it may come off as too rich for someone to smoke these all of the time. Add to that some slight issues were had with the construction and the pricepoint of $8.50, and you may find yourself straying from this as an everyday cigar. However, it is the perfect complement to a nice big meal.